Sheffield City Council have refused mediation and started injunction proceedings in court against one of its own elected Councillors. 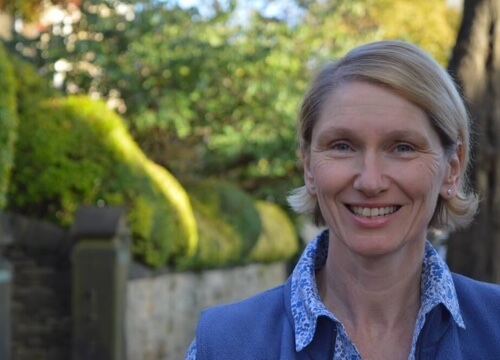 Councillor Alison Teal, Green Party councillor for Nether Edge and Sharrow, will attend a first hearing at 10.30am on Monday 17th July at the High Court in Leeds. Cllr Teal is having to defend the injunction proceedings after the Council turned down her request for time to get legal advice and to use mediation in the controversial tree-felling debate. Instead, the Council issued the court claim immediately. The matter will be heard at 10.30am on Monday 17 July at the High Court in Leeds and is expected to last up to three hours. Douglas Johnson was awarded the Legal Aid Lawyer of the Year award, 2014, in the social welfare law category. The SCC has a long and distinguished tradition of fascist intimidation to find inspiration from. This is now their well-established way to act. They will not change their ways, and it is up to us to make sure that their repressive actions will not prevail. Mussolini and Hitler did not drop from the sky, but they emerged as a gradual erosion of civil rights eventually became to be accepted as ordinary. It is our right and our duty not to see history repeated. Agree with Umberto. The councils behaviour is just appalling no idea why they don’t seem to understand that. I hope LP members will let them know in no uncertain terms their behaviour is unacceptable. With you all the way Alison. This is outrageous. Such bullying as Sheffield CC are showing here is, I’m sure, an embarrassment to their leader, Jeremy Corbyn. Were he resident in the area no doubt he would have taken a similar stance to the Green party. They should know that the Greens only ever fight for what is beneficial to society and the world. Unnecessarily wasting taxpayers money and the court’s time could well be perceived as the greater crime. I am not a resident of Sheffield but support STAG, because, what is happening in that great city could happen anywhere, if big international companies like Amey are allowed to influence our local councils. It is quite common in other countries for bribery and corruption to be part of big business transactions. One can only surmise, what the motivation is for some of the elected Labour Council in Sheffield to be hellbent on propping up this disastrous and extortionate long term contract with a Spanish multinational. The situation has a dreadful stench to it and needs some serious investigation. Know this. You are NOT acting in my name, or on my behalf. This is my personal vote of no confidence in you.